Liguria is a small coastal region renowned for its stunning landscape, running along Italy’s Mediterranean coast between the French border and Tuscany. Known as the Italian Riviera, this thin, beautiful strip of rugged land with its Mediterranean climate and poor, stony soils is dominated by hills with sheer drops that almost fall straight into the sea. 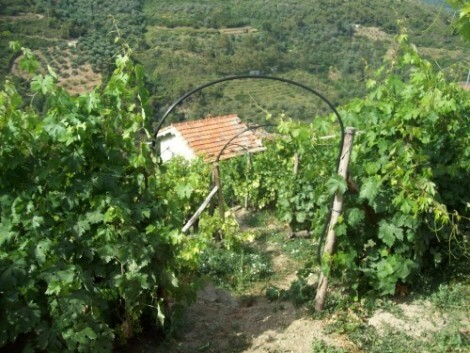 These steep elevations make vine growing a challenge, resulting in scattered vineyards (some can only be reached by boat) with limited production. Further inland, the hillsides offer only marginally less vertical altitudes, and planting of vines is dense and compact; viticulture plays an essential role in the prevention of soil erosion and landslides. Despite this difficult environment, vines have been grown in this area for more than 25 centuries since they were introduced by the Etruscans and Greeks. There are only around 14,800 acres (6000ha) of vineyards, of which just over 1235 acres (500ha) are classified as DOCs. 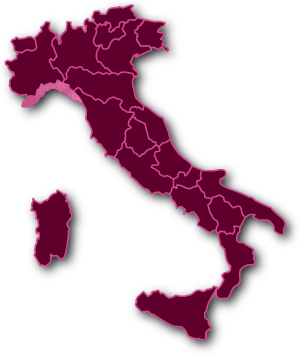 Liguria remains the region with the second lowest output of wine in Italy. Most wine is the work of small, artisanal producers who have to grow their vines on terraces carved from the rocky slopes. The steep elevations are a blessing too, as they protect the grapes near the sea from the coldest winter winds blowing down from the Alps. The soil’s high limestone content is particularly good for white grapes, as it gives the wines their minerality. 75% of the annual production is white wine and not surprisingly Liguria is generally known for its wines made from the local white grape Pigato, whose name is thought to derive from the spots (pighe) that appear on the mature grapes, and Vermentino. The red celebrities come in the form of Rossese, a variety which creates subtle, fruity and spicy wines, and Ormeasco, a similar variety to the Piedmontese Dolcetto.